The Tombs of the Kings is a large necropolis around a mile north of Kato Paphos in Cyprus. The tombs were were thought to have been the burial sites for local aristocrats and officials: no kings were ever buried here. 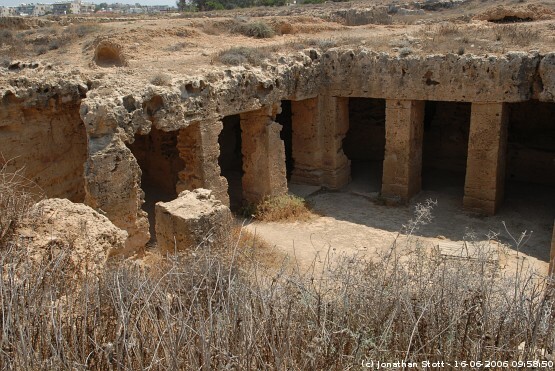 The oldest tombs date from the 4th century BC and the most recent tombs date from 3 AD. The tombs are hewn from the bedrock and many feature Doric columns and frescoed walls.